Servovalves and Servo-Proportional Valves are electrohydraulic, continuously acting valves that transform a changing analog or digital input signal into a stepless hydraulic output (flow or pressure). The term servovalve describes a valve design with bushing spool assembly, characterized by high precision metering edges. The term servo-proportional describes valves with a spool-in-body design. Moog valves provide precise control of position, velocity, pressure and force. Moog is a leader in designing, manufacturing, and selling high performance hydraulic valve products. With over 50 years experience producing servo and proportional valves for the industrial market, our products are legendary for reliability and accuracy. The first product Moog produced was an aerospace servovalve for a missile application. 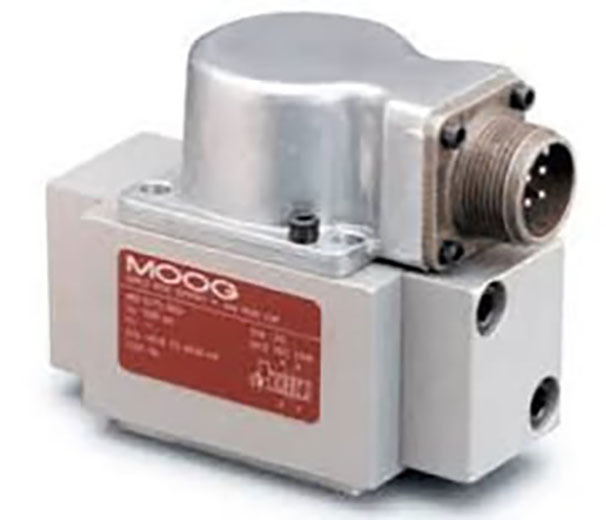 Ever since, Moog has been the recognized leader in Servovalve technology expanding into all aerospace applications that require precision motion control.